You are currently browsing the category archive for the ‘Social Media’ category. Yes, I am currently forced to use a Blackberry Torch as my primary phone and it pains me, though I still love Blackberry Messenger and wish they would port it to Apple/Google/Windows mobile devices (if RIM can’t compete with their handsets and tablets, why not own secure messaging across devices?). So here they are, in no particular order. Also, some are not apps at all. Also, I have 12 instead of 10. All unimportant details in my opinion. I love Flipboard. 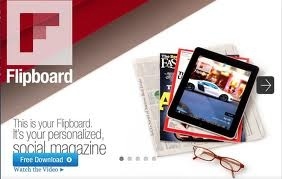 I used to love Pulse until I discovered Flipboard, and now I’m a convert. If there’s one app I would never want to give up, it’s Flipboard. Let me say it one more time: Flipboard! Flipboard takes all of your feeds including Facebook, Twitter, LinkedIn, Google Reader (for RSS), and a bunch of others, and puts it into a beautiful magazine-like format that makes for an aesthetically pleasing, easy and enjoyable reading experience that allows you to easily share via the popular social networks (e.g. Facebook, Twitter, LinkedIn). Download this app if you enjoy following news, social feeds, whatever. No, I take that back – download this app if you like reading at all, or pictures and videos. Nope, still not good enough – download and start using Flipboard if you have two eyes and breathe. Another piece of gold in my opinion, though I think half of my love for Instapaper is that I’m a digital pack rat. 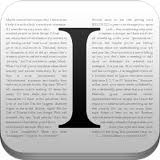 I simply don’t want to lose anything I might want to go back and look at later, and that’s what Instapaper does for you – if you read an article in any number of apps (like your browser, Flipboard, etc. – across mobile devices and regular computers no less!) you can simply click “Read Later” and it will save it in the cloud for you to sync to Instapaper app later and read, organize, and archive. I think the most typical use case is reading articles on an airplane, but anywhere you may not have network access is where you can fire up Instapaper and read the articles you saved earlier (assuming you sync regularly, of course). Maybe it’s just that I hate not being able to easily find something later that was useful or could be useful later on, but in any case Instapaper caters to that paranoia and provides me an integrated solution and for that I love it. This one is an obvious one. 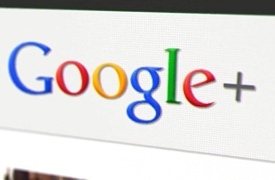 I use Google Maps probably once a day at a minimum and 100 times maximum when traveling – it just makes life easier and generally allows you to avoid time-consuming planning by flying by the seat of your pants. 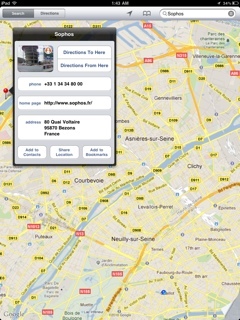 Locations, phone numbers, bus schedules, satellite views, traffic data – you name it. 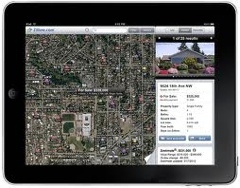 If you aren’t using Google Maps you aren’t as efficient as you could be. I still own a Windows Desktop and thus I use RDP if there are ever any files on it I need to transfer (still too cheap to pay for more space on Dropbox I guess), any tasks I can’t yet achieve on my iPad (like uploading a file to a website – urgh…), or if I simply want to leverage an application on my desktop for whatever reason. 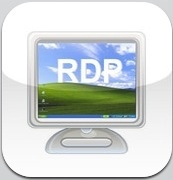 Remote Desktop has been around forever, and I still find it amusing that companies like GoToMyPC, etc. entire businesses centered around a feature that’s present in all Windows products (ok, you might need the Professional version of the Windows O/S to do it). Too bad Microsoft didn’t have a little more foresight and link RDP to a cloud service and run all of them out of business, but for me this is a great and free solution to get on to my PC from my iPad anywhere in the world. Another thing to note: using my iPad touchscreen to control my Windows PC is actually not bad at all. I’m personally excited to see what Microsoft does with tablets in the enterprise given the cluster iOS and Android devices cause in enterprise environments due to their limited controls, closed O/S, etc. This thing is pretty awesome. It in combination with my iPad effectively turns my 1997 Toyota 4Runner (I love that car, but one day understand I will have to buy a car that was made this century…) into a more advanced multimedia and navigation system than anything in the new cars today. Oh, and with the 3G connection I have Internet on the go as well. The only thing missing is hands-free phone through the stereo. Other than that, pound for pound I would pass on the fancy integrated systems in even the high end cars for this combination – no question. 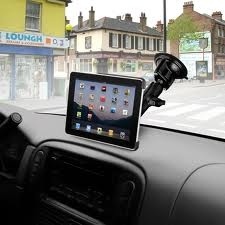 I connect the iPad to my stereo for music, use either Google Maps or the TomTom GPS app (http://bit.ly/rdfmsO) for navigation, and use the 3G connection to check the ferry schedule or border lineups on-the-fly, settling in-car arguments, or whatever else you may want to do while driving (of course, getting the person in the passenger seat to do all this instead of the driver is advised). The mount itself is actually very versatile, and I have used it mounted in a golf cart in conjunction with the Golfshot app (http://golfshot.com/), which provides all the functions of a golf cart GPS and more, including full course aerial views and exact distances to the greens, fairways, etc. as well as scoring, auto-handicapping, and the sharing of scorecards to other members of your group or Facebook. Golfshot probably deserves it’s own call out in this list, but since I’m covering it it and the TomTom app here they will have to settle for honourable mentions. I’ve also used the mount in the house, in the kitchen while making dinner, and any place a suction cup might stick (within reason!). It’s a great accessory to the iPad and I would very highly recommend it. Since I travel down to the USA on and off over the course of each year for both business and pleasure, and I hate not having an always-connected iPad, I had to find a solution. And I found a great one in the Virgin Mobile MiFi 2200, alongside Virgin’s pay-as-you-go data service that it works with. For those of you who don’t know, a “MiFi” is basically the size of the credit card but thicker, and on one side has a 3G (cellular) data connection that provides Internet access via Virgin’s mobile networks, while the other side has a WiFi radio that can serve up a WiFi hotspot to those within a few meters range. 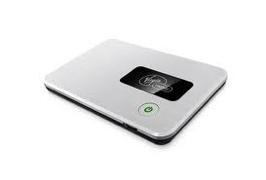 Those two functions are then bridged together to provide a mobile hotspot wi 3G Internet access. So instead of paying exorbitant data rates on my Telus 3G iPad data plan when I go down to the States, all I do is top up my account ($10 for 100 MB over 10 days or $30 for 500 MB over a month) and when I cross the border, I fire up the MiFi, the iPad automatically connects to it, and Bob’s your (my?) uncle. I honestly don’t think I could live without this app either. It’s an application that allows you to securely store and password-protect any and all of your important information (hence it acts like an Electronic Wallet. I get the most use out of it by storing the many user names and passwords for all of the website/services that I use, but do store all kinds of things in case I lose my physical wallet, for instance. From a security perspective, it allows me to have at least some variety in the passwords I use, and always know I’ll be able to provide the right credentials/info/whatever when I need to. EWallet runs on my work laptop, my home desktop, my iPad, AND my Blackberry. So I’m never without my personal info. The only gripe I have is that they don’t yet have a cloud sync/storage option. Yes, I’m willing to put my most intimate data into a cloud service. As a security and data protection “expert” (perhaps that’s a stretch? ), I am aware of the dangers but also appreciate the contrasting benefits and convenience. Call me crazy, but I think it would be worth it, as long as Illium (the maker of EWallet) takes their job of storing and safeguarding your secure data seriously. I have made a conscious decision that my iPad is for my personal use only – it’s where I go to get away from work, so the last thing I want are emails coming in from across the globe 24 hours a day asking when feature X is getting into product Y. That said, sometimes I want to access my work email from my iPad, and when I do, I use the Outlook Mail app. It basically connects to your company’s Outlook Web Access (even if you use 2-factor authentication!) and then makes it look like the iPad email app, for the most part. 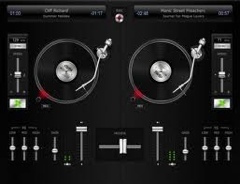 My girlfriend is an amateur DJ so I got this app and was extremely impressed with it. Remember all those heavy DJ setups? (and I’m talking about today’s “compact” solutions – not back in the days when people still hauled records around) Kiss them goodbye, because you can now DJ a party with only an iPad and a system with some decent bass. Djay allows you to split the audio output and thus queue songs the way you’d expect with a set of earphones (or earbuds in a pinch!). I was impressed by this given the iPad only has a single audio out, but with only a $5 trip to Radio Shack you can make it work seamlessly. This one’s a no-brainer. 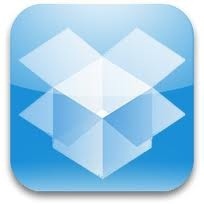 Cloud storage for free across all of your devices. If you don’t use it already you probably don’t need it. Vancouver’s own HootSuite is a great app if you want to simultaneously post your latest blog entries (or what you ate for breakfast and how it made your tummy hurt) to your Facebook, Twitter, and LinkedIn accounts (and probably more, but that’s where I hit my limit). It saves time and has a fun interface with a friendly owl who seems to be a better executed version of the Office Paperclip. 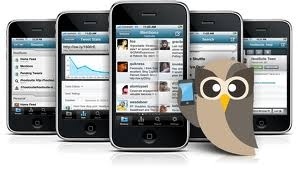 If you post to numerous social media accounts, you probably already use HootSuite. And lucky #13 is a late entry – the new designed-for-iPad Facebook app! I just got this and tried it but it looks great so far and just works the way you’d expect a Facebook app to work, so I’m going out on a limb here and guess that they just put Friendly out of business. And that’s the round-up of “apps” that I’m thankful for. I’m interested in hearing what you think and if I’ve missed any that you love to use. Happy (Canadian) Thanksgiving!